Sunday, January 27th: 9:30 Mass and Open House from 10:30-12:30; Come see the many projects we have displayed. Bring a prospective friend too! Monday, January 28th PJs and buddies! Wear you pajamas to school and we will have time with our buddies; hot lunch, hamburgers and cheeseburgers. Thursday, January 31st Student Appreciation Day: Talent show in kindergarten! Kindergarten jeopardy in the afternoon! Friday, February 1st Red/ White Day; wear your red and white; kindergarten will watch 1st-8th volleyball games in the afternoon! Be sure to check out the pictures page! Lots going on these next few weeks, beginning with Catholic School’s Week! Watch for a note to come home on WEDNESDAY about our 100th day celebration. Talent show is on Thursday, January 31st; click HERE to read the note that was sent home. Please make sure your child practices over the weekend! Don’t forget to bring in any props. If your child needs a ball, jump rope, music, etc., please send us a note. Journaling: Writing 2+ sentences during daily journaling time! 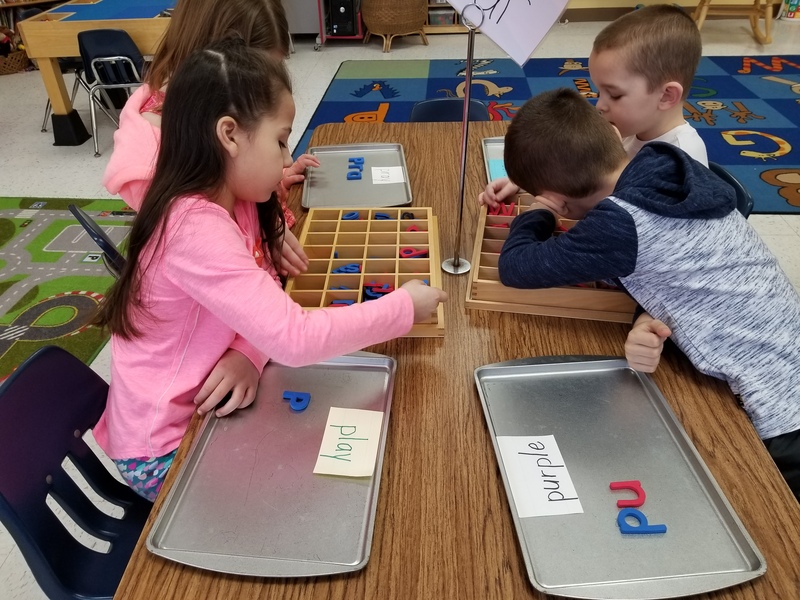 Sight Words: Click HERE for words that we are currently practicing. Groundhog stories at the listening center! Segmenting and blending words and Jolly Phonics review. At home, ask your child to “stretch out” words! Graphing: Do you think the groundhog will see his shadow? We will make our predictions! Counting by 5s and 10s to 100, we will continue to review. We will practice counting by 2s to 20. Practice this at home, just takes a few minutes in the car! “We go to a Catholic School…” Ask your child to sing this song to you! We will continue explore or sense of sight and taste while also learning about what makes our catholic school so special. God made each of us special and gave each of us talents. Those talents will be on display next week at our classroom talent show! We will use the book “OK” to discuss things that we are just “okay” at and things that we are really good at!